Fort Wayne may be known as the city of churches, but we have our fair share of festivals too! 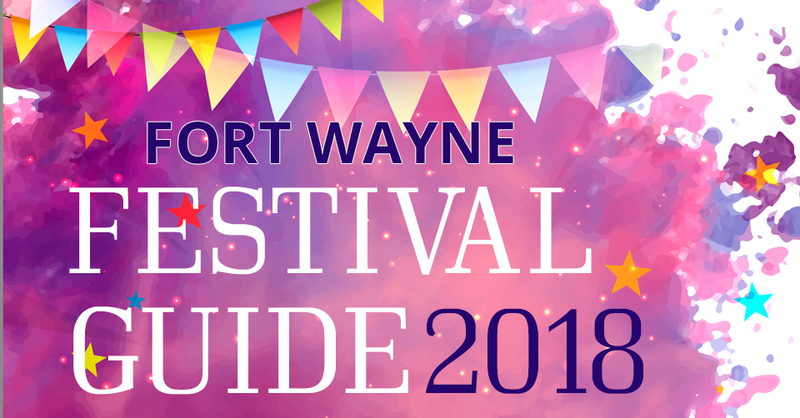 With so many festivals in Fort Wayne, there’s something for everyone to enjoy! Celebrate the Greek culture at Greekfest at Headwater’s Park with a variety of Greek cuisine and entertainment including live music, dancing, a raffle drawing and other activities each day. Enjoy two days of the hottest new gear, mind-blowing workshops, and performances by some of the best in the business including Fort Wayne’s own Addison Agen at GearFest at Sweetwater Sound. They’ll also have thousands of dollars of gear giveaways, camping, and GearFest-exclusive gear deals? And it’s all absolutely free. Downtown’s celebration of the street performer, BuskerFest at the intersection of Wayne Street and Calhoun Street in downtown Fort Wayne will feature fantastic local, regional and national acts, free admission and an experience like no other! One of Fort Wayne’s favorite and longest running festivals is back July 13-21. Three Rivers Festival offers everything from food to fun. Brings your family and friends and enjoy Food Alley, Art in the Park, the Bed Race, the Three Rivers Festival Parade, the Raft Race, Children’s Fest, and so much more! Pride Fest is a two-day event designed to build a stronger LGBTQ community. It features live entertainment, a vendor market, beer tent, food plaza, workshops, tournaments, KidSpace, and fun for the whole community! The Taste of the Arts festival at the Arts Campus is your place to get a taste of Fort Wayne art, culture, food, drinks and more! Brewed in the Fort is Fort Wayne’s Craft Beer Festival at Headwater’s Park featuring craft beer from breweries, food trucks, and live music from local bands. Middle Waves is a two-day destination music festival, held in downtown Fort Wayne, IN at Headwaters Park. Middle Waves features three stages of music, art activities, and food and drink around every corner. The Johnny Appleseed Festival celebrates the life and times of John Chapman aka Johnny Appleseed through period crafts, food, demonstrations, and more. Fort Wayne’s newest festival, the Fort Wayne Veg’n Brew Fest, is a one-day festival at Headwater’s Park celebrating compassion for animals, health, and the environment through a plant-based lifestyle. They’ll feature food from local and regional restaurants & bakeries, cooking demonstrations, vendors, kids activities, and live music from local bands, as well as beer and other drinks! Admission is free. This entry was posted in Fort Wayne and tagged festival guide, festivals, fort wayne, fort wayne festivals, gear fest, greek fest, johnny appleseed festival, middle waves, pride fest, three rivers festival, vegan, vegfest. Bookmark the permalink.